A woman who suffered four miscarriages in a single year has created special bracelets to help Hull’s Early Pregnancy Unit. Hull dance school owner Samantha Catanach, 32, was found to have “killer cells” in her womb which caused her to have recurrent miscarriages. Now, after treatment to suppress her immune system, Samantha and husband Martin, 34, are proud parents of baby son Ted, born on November 1. And Samantha has raised £1,500 for the Early Pregnancy Assessment Unit’s Forget-Me-Not Fund which gives special memory boxes for women suffering miscarriage, ectopic or molar pregnancies. She said: “I became a familiar face because I was there so often and I can’t speak highly enough about the staff and the care I received. Samantha, who runs Flex Dance Inc with her best friend Stephanie Keeting and holds classes in Hull and Leeds, lost her first baby in early March 2017 and went on to suffer three further miscarriages, all around the seventh week of pregnancy. She started writing a blog Crazy Fertility Queen, reaching out to other women who had been or were going through similar experiences. “Once felt like bad luck,” she said. “When you’ve had three, it’s classed as recurrent miscarriage. It was so difficult for us that it kept happening. We never got passed the first scan. After their fourth miscarriage, Samantha and Martin paid for private tests and discovered Samantha had killer cells in her womb, similar to those produced to fight cancer. Instead of fighting illness, the cells attacked the “foreign body”, ending the pregnancies. Pregnant for the fifth time, Samantha underwent treatment to suppress her immune system and she gave birth to Ted five weeks early. She said: “Ted is our absolute rainbow baby and we’re so lucky to have him. 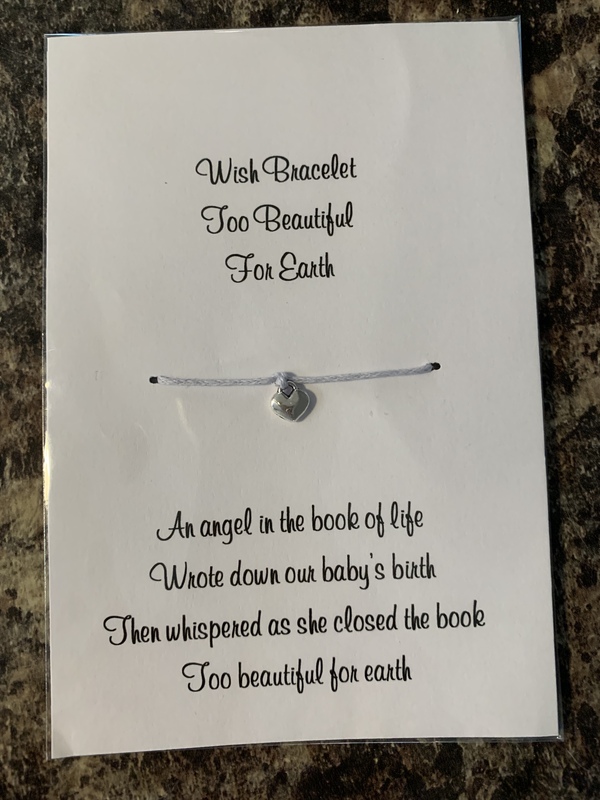 Thanks to the support of women following her blog, Samantha raised £1,500 and purchased 700 special rope bracelets with the poem “Too beautiful for earth”. The bracelets will be placed in the Forget Me Not boxes, provided through fundraising coordinated by staff nurse Hayley Ellenton who works on the gynaecology ward, and contains a notes journal, a packet of forget-me-not flower seeds, a candle, a pendant, a memorial certificate and information on local and national support groups. Women can also support the Early Pregnancy Unit by attending Samantha’s hour-long Zumba classes on Thursday nights at Bricknell Primary, starting at 6.45pm. It costs £3 for adults and £1 for under 18s and all proceeds will go to the unit.